What Is The SPF Of Our Mineral Makeup? We created information on our home page as to “What is the SPF in our mineral makeup?“ As we have explained, we make no SPF claims on our mineral cosmetics even though zinc oxide and titanium dioxide are known broad spectrum sun blocking agents and are the bulk of our minerals. Yet if claimed as a sunscreen, natural or otherwise, the FDA mandates any and all companies MUST provide the clinical testing proving their claims. Why The New FDA Mandates? Minerals can be opaque to sheer depending on the particle size and the formula chosen. Our mineral makeup for instance, does not provide these two sunblocking agents as stand alone ingredients, but are blended with other skin conditioning agents so this adjusts “active ingredient” ratios. Whereby, effectiveness must be tested and “proof” presented for application as an OTC drug to the FDA in order to get approved for bearing the required monograph for sunscreen. The FTC is another story and an entity that is never ambiguous when it comes to making SPF claims for marketing purposes. ALL mineral makeup companies not only have to prove efficacy now, but also prove the hydrophobic properties of the mineral makeup products as they relate to the active sunscreen ingredients staying in place to provide ongoing sun protection. That is why compliant liquid sunscreen manufacturers advise about application usage and when to reapply for maximum benefit, including warning / risk of using product placed on the back panel. This is why an excellent mineral makeup with fantastic staying power that will remain on the face until days end, like ours, is so essential for many women. 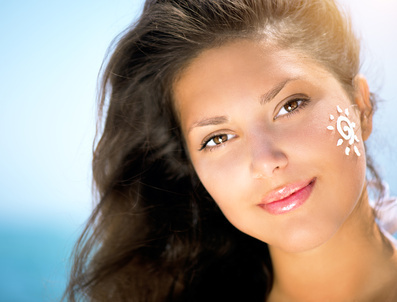 Reapplying a liquid sunscreen over a mineral powder just isn’t practical or feasible. The FDA is clear on the fact that making claims as to an SPF by any company that has not performed the actual FDA approved standardized studies, is in violation of “over the counter” drug regulatory process which defines sunscreen as a drug. You can read about the FDA proposed regulations as to their final regulatory compliance for manufacturers of sunscreen products as of the year, Dec. 2012, at the link below, along with links for consumers in easy to understand language. Challenge what you read on a label since it will be an eyeopener, and you’ll have a clue that many mineral makeup companies are not within the FDA approval process based on their labeling practices. If they are not bearing the Monograph for an OTC drug on their packaging, then you can be assured that the SPF claim is not accurate and simply a guess, or what they would like it to be. Making SPF claims on a website is strictly for marketing purposes, especially when not supported on their packaging, which is also FDA non compliance. Feedback from customers or being tested on friends and family does not a proven SPF make. Application technique and depth of color are all factored into the SPF rating when products are clinically tested. Products must also be retested every time a new batch is created. As a consumer, "ask", get details of their claim. A company making these claims will quickly reveal their knowledge or lack thereof of FDA mandates as they relate to drug monographs, or how they have proven the SPF rating they want to claim on their mineral makeup or skincare products. Although the FDA regulates OTC Drugs and sunscreens, they are hard-pressed to enforce the rules in cosmetics, and this is where most mineral makeup and some skincare companies take advantage. Just because FDA has not enforced the regs with a particular company, does not mean that their SPF rating has been verified or approved by the FDA. An example of the new OTC label is below, plus a video on what FDA will and will not allow. 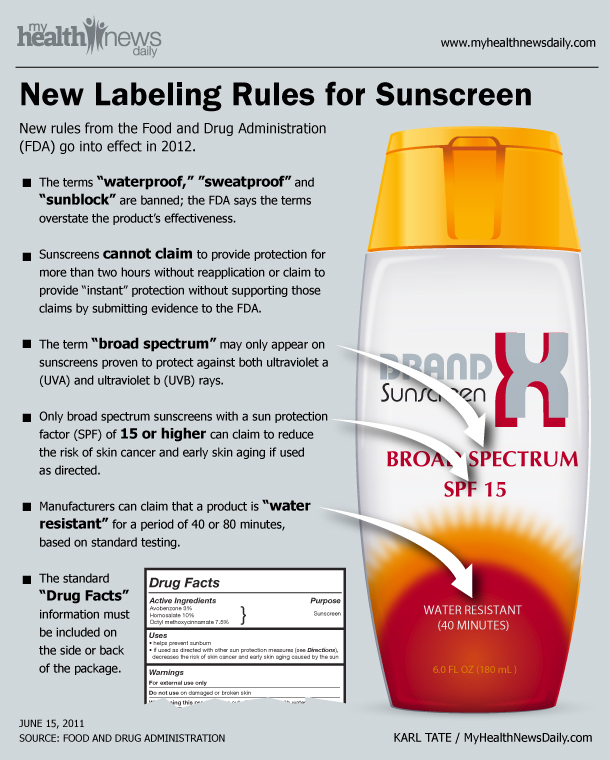 This label under the new FDA Sunscreen Regulations, is nicely broken down in simplified terms. The language is clear as to “evidence of proof” and “required tests” to make sunscreen claims. That is why it is up to the consumer to be vigilant and have accurate information provided directly on the label. After all, when any of us go to the store to buy a liquid sunscreen, we expect it to do what it promises to do, to avoid that all encompassing painful, aging sunburn. For instance, there has not been any proof showing that the 50+ SPF claim enhances protection over and above a 30 SPF, and is strictly for marketing purposes and gives a false sense of safety in the sun. Reapplication is still required even with this SPF rating. Hence the importance of truth in labeling, not an approximate or an over-inflated claim being made because the FDA is undermanned to enforce their regulations up to this point. However, changes in this regard to sunscreens are on the horizon under the new stringent regulations as well, for improved enforcement of the mandates.